Author: See, Lisa Set In . . . 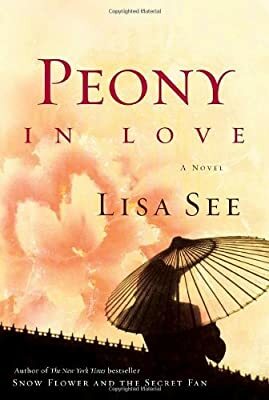 In seventeenth-century China, in an elaborate villa on the shores of Hangzhou’s West Lake, Peony lives a sheltered life. One night, during a theatrical performance in her family’s garden, Peony catches sight of an elegant, handsome man and is immediately overcome with emotion. So begins Peony’s unforgettable journey of love and destiny, desire and sorrow, the living world and the afterworld. Eventually expelled from all she’s known, Peony is thrust into a realm where hungry ghosts wander the earth, written words have the power to hurt and kill, and dreams are as vivid as waking life. Lisa See’s novel, based on actual historical events, evokes vividly another time and place—where three generations of women become enmeshed in a dramatic story, uncover past secrets and tragedies, and learn that love can transcend death. Peony in Love will make you ache in heart and mind for young Peony and all the women of the world who want to be heard. BONUS: This edition contains an excerpt from Lisa See's Shanghai Girls.